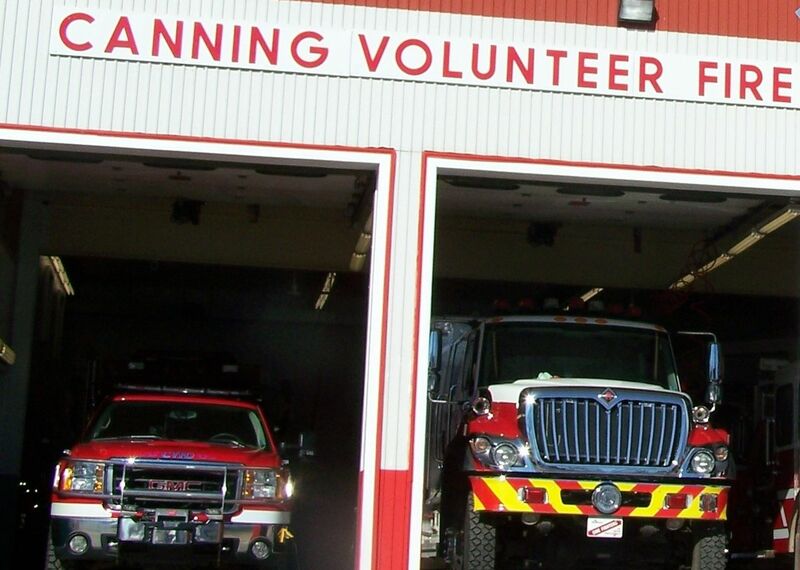 Canning Volunteer Fire Dept. 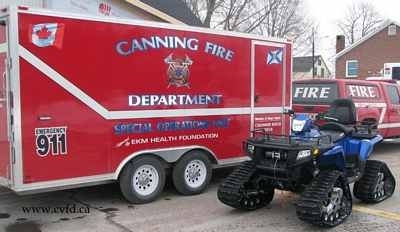 provides fire protection to the Village of Canning and adjacent communities while our mutual aid agreement encompasses Kentville, Wolfville, Port Williams and New Minas. A second station is located in Scots Bay and is manned by members living in the area. We respond to approximately 140 alarms per year. The Dept. active members receive mandatory training for NFPA standard Level 1. Training is Monday evenings and when required some weekends for specialized training like the MFR and other specialty teams. Members have special training in cold water rescue, high angle rope rescue, water rescue and hazardous materials handling as well as trained Medical First Responders (MFRs) who are able to provide assistance as required until the paramedics arrive on scene. Currently over 50% of our members have this training. 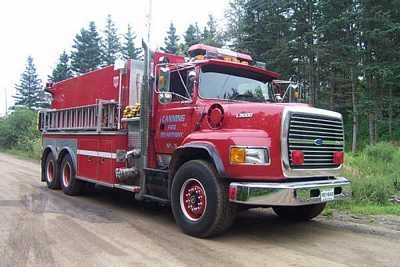 Our department participates in many community events including parades, food bank drives, graduations as well as providing fire protection during fire works and first aid posts at events requiring that service. We also have a successful fundraiser in January called the BIG TRIP which consists of a full course meal, live entertainment and lots of prizes. The event is successful due to support from our local business communities and businesses where our members work. We will perform our duties with integrity, compassion, respect and without prejudice.